I was half right, Dallas got booked to the finals, turned out (Miami’s) three were too hot to handle while a young and very tired MVP failed to carry his team, well at least for now. Sans Bulls my initial 2011 NBA finals prediction is the same though the advantage now point to Dallas (2-0 regular season win-loss record) and a 44% (62K+ votes) chance of clinching it on 6 or 7 games at Yahoo poll. Chill out! The East will emerge victorious this time as they’ll sacrifice bodies to (double & triple team) Dirk Nowitzki and make him feel like a disappointed Derrick Rose (Bulls 3-0 in regular season) even with battle hardened veterans of Kidd, Terry, Marion, Stojakovic et.al. Yet another classic rematch five years in waiting with only four original 2006 players left — Wade, Haslem, Nowitzki, and Terry. Miami 6 in a roller coaster 48 minutes. Photo from Deviantart. Getty Images. 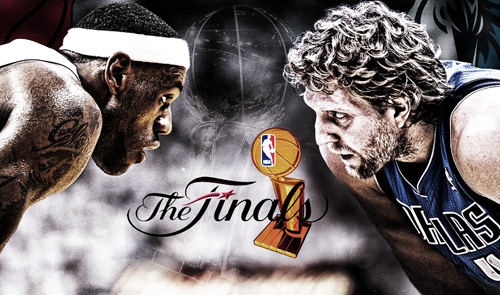 Mavs is heavily favored for a second coming to the NBA Finals after their dismal breakdown with the Heat in 2006, this time it is against the Bulls or Heat as pundits favor Bulls if they can shackle Miami’s Big 3. I believe they will prevail and defense will be the key and is the more balanced team proven by their late season surge as the best unit in the league. 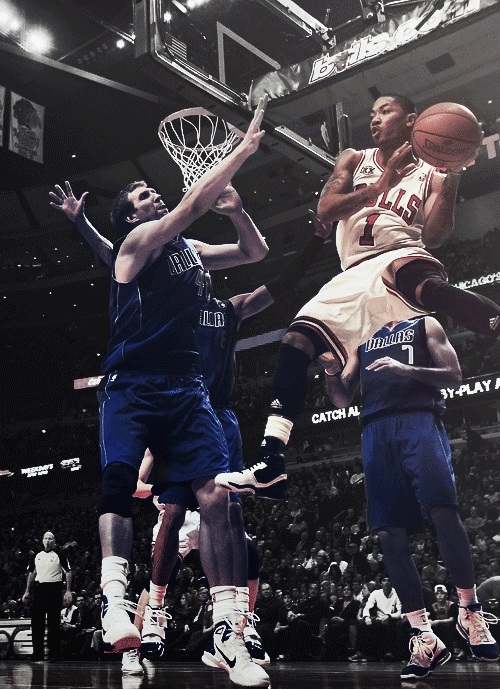 MVP Derrick Rose is backed-up by bunch of reliables — Carlos Boozer, Joakim Noah, Luol Deng, Kyle Korver, et.al. 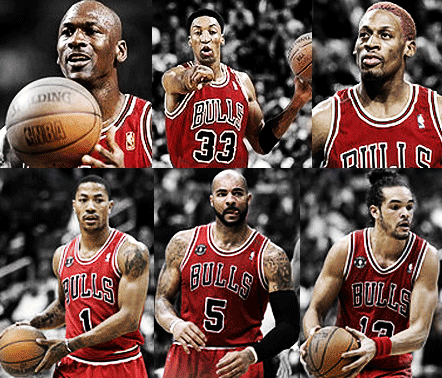 as they embark on a new Chicago Bulls era. I see Mark Cuban woes and Dirk Nowitzki’s drought continue, coach of the year Tom Thibodeau will get his much deserved second ring after the Windy City hiatus and awakening post 1997 glory years of Phil Jackson, Michael Jordan, Scottie Pippen, Dennis Rodman and Toni Kukoc. But I could be wrong. Size would be the most obvious come November 14 at Texas even Pacman is 2-0 with men exaggerately bigger than him yet pundits are entitled to their say. Experts say motivation could change the fight as the disgraced Tijuana Tornado has tons of it with nothing to loose and everything to gain. In boxing just like any other contact sports the first man to get hurt would likely to fall first but superior conditioning is a factor (second wind). Manny Pacquiao achieving many titles in many weight classes where no other modern day boxers will not surpass sees by some experts this fight could tarnished his stellar career. Is he up for Jr. Middleweight? His last fight with Clottey has shown how size is an advantage, after his 12 round conquest he looks more beaten than the native Ghanaian and Margarito is like a bull with heavy hands. I would hate to see a Z Gorres but it’s the price you pay for fame and fortune and we love to see the Pacman fight and win because he’s the more complete fighter of the two but it’s not just Pacman — the global attention ‘Pinas is getting as well. Some fearless forecast has already summed it up and I can see Pacman (5-1 favorite) $15+ million richer. Conditioning coach Ariza in 24/7 has doubts with his fighter strength and power after all the distractions. 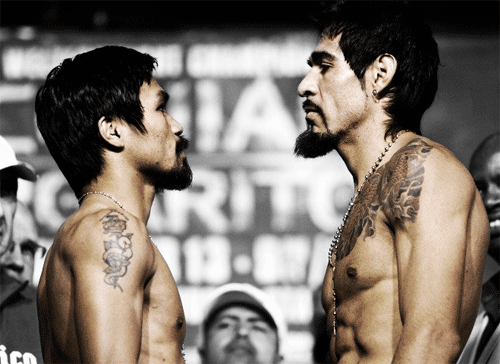 Come Sunday, if the Pacman looses, a rematch would surely be one hell of a fortune maker. By far, this is his toughest test. For Nagueños who wants to see the fight live, avoid suffocating commercials over TV, cannot afford the pricey tickets, do not fret, LBC with LGU Naga is sponsoring a free showing in four(?) big screens of the pay-per-view at the city coliseum on Sunday 8a.m., a titillatingly intense day for Pinoys.